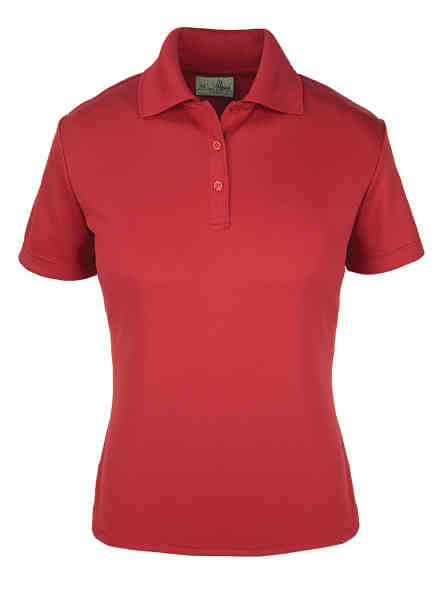 Size: S, Size: M, Size: L, Size: XL - 5.0 oz, 100% Dry wicking polyester made polo shirt for womens. Very soft hand, extremely comfortable. Classy 'ribbon' detail on the placket. Ottoman collar with nice detail.